After leaving the group in 2001, Felder also became a New York Times bestselling author when his riveting confessional memoir Heaven and Hell: My Life in The Eagles proved a major commercial triumph upon publication in 2008. 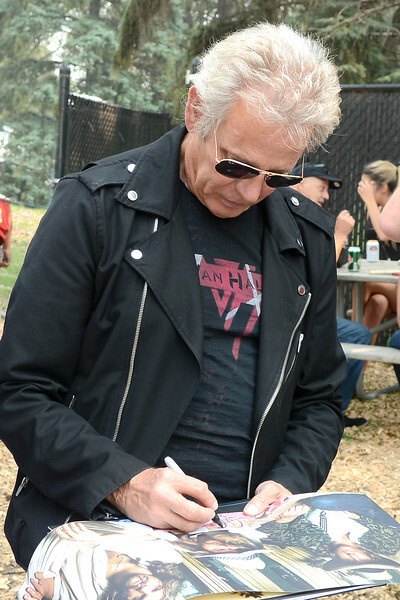 Growing up in the Gainesville, FL local music scene, Don Felder would incongruously encounter a number of the greatest talents that would go on to change rock and roll history. In high school, he formed a band with a young Stephen Stills; Felder also gave guitar lessons to a teenaged Tom Petty at the local music store, and The Allman Brothers were also local pals. “Duane Allman was first person I ever saw play electric-slide guitar,” Felder recalls. “I said, ‘You’ve got to show me how to do that,’ so we sat on his mother’s floor in Daytona Beach and Duane taught me how to play slide.” Florida is also where a young Felder would first meet Bernie Leadon, a founding member of The Eagles who would be instrumental in bringing his childhood friend into the band. In fact, it was Leadon who encouraged him to come out to Los Angeles, where Felder found himself working both with The Eagles and in both sessions and live performances for numerous music legends spanning the musical spectrum: The Bee Gees, Bob Seger, Michael Jackson, Alice Cooper, Kenny Loggins, David Crosby, Graham Nash, Boz Scaggs, Warren Zevon, Joni Mitchell, Stevie Nicks, Vince Gill, Stevie Wonder, Elton John, Paul Simon, Diana Ross, Barbara Streisand – and even and old friend, Steven Stills.